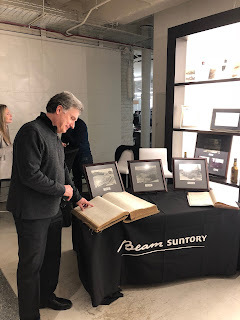 Suntory headquarters in Chicago in January, offering the Beam staff a variety of experiences ranging from a virtual tour of the Jim Beam bourbon distillery in Clermont Kentucky and hands-on cocktail classes, to bourbon tastings and fireside chats with Beam family members. 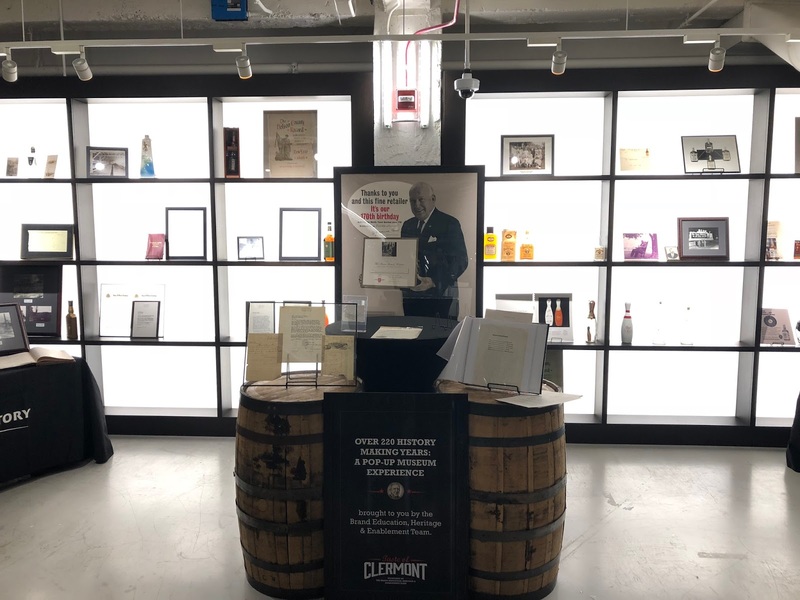 One of the highlights of the festivities was the unveiling of The Heritage Collection featuring rare letters, documents, photos and bottlings from the company’s past. The LCWA heritage PR team had spent close to two years identifying and collecting these artifacts from around the country in an effort to preserve and celebrate the company’s unique history. The crown jewel of the Collection was a short film featuring Jim Beam in 1939 celebrating the opening of his plant after Prohibition. The LC Williams team located the 8 millimeter black and white film, the only film of Jim Beam, in tiny Sewanee, Tennessee and negotiated with the owner to purchase it as well as other relics. 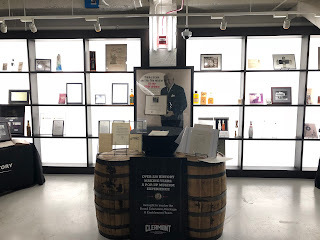 After Chief Executive Officer Matt Shattock and Chief Marketing Officer Rebecca Messina were treated to a special tour of the Heritage Collection by yours truly, the materials were then put on full display in the company’s lobby for the entire week for all employees to view. In addition to acting as tour guide and museum curator, I also had the privilege to lead two seminars on the company’s history while the audience sipped cocktails. History never tasted so good. The Collection is part of a larger initiative being developed by Beam Suntory and LCWA, designed to raise employee and consumer awareness of the iconic brand’s heritage. We’re currently planning big things to help celebrate Jim Beam’s 225 year anniversary in 2020. Stay tuned!